At Mobile Horse Racing we are always interested in hearing your feedback. If there is something you will like to see added to the site, please let us know. If we've made any errors or there are broken links on the site, contact us and we'll endeavor to fix the problem as soon as possible. If you have developed a horse racing app for Blackberry, Windows Phone, Android or iOS and think it would be of interest to our readers, let us know and we'll add the app to the site once we've had a chance to review it. 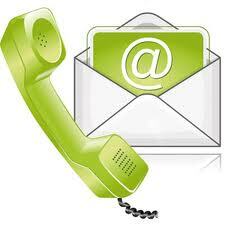 We offer our readers a variety of ways to get in contact with us. You can drop us a quick line via the contact form that appears at the bottom of every page, write to letter via snail mail or contact any of the departments listed below if you have a specific query. General feedback on the site can be sent to feedback@mobilehorseracing.co.uk Remember, we're happy to hear your criticisms and any ideas you might have on how we can improve the site for our readers.